Rovio has teamed up with toy manufacturer Jazwares to create a range of Angry Birds toys. 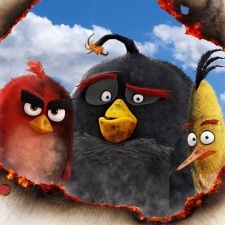 The slate of collectables will support Rovio’s various and upcoming entertainment ventures, which include the September 2019 theatrical release of The Angry Birds Movie 2. Other endeavours include a long-form animation planned for release in 2020, live stage shows, location-based entertainment initiatives and animated and live-action productions for Rovio’s Angry Birds YouTube channel. “Rovio’s new multi-year entertainment and licensing roadmap is our most exciting to date, spearheaded by 2019’s The Angry Birds Movie 2,” said Rovio SVP of brand licensing Simo Hämäläinen. The news follows Jazwares teaming up with Epic to create Fortnite memorabilia earlier this year. That deal will see Jazwares create true to game figures, Domez, loot boxes, playsets, environments, game-replica weapons and tools, plush and vehicles.